There’s no question about it – children can complicate a traveler’s life. If you thought going to a convenience store with a toddler was difficult, try another country or even a continent. You’re always going to be faced with a choice: either leave your children behind for the trip or bring them along with you. Having children tag along is cool – they’ll learn more about other countries and cultures and have a lot of fun. But it’s not always all games – bringing your child with you shifts the focus of the trip from fun and adventure to responsibility. If you’re fine with that, here are some ways to make traveling abroad with children easier. 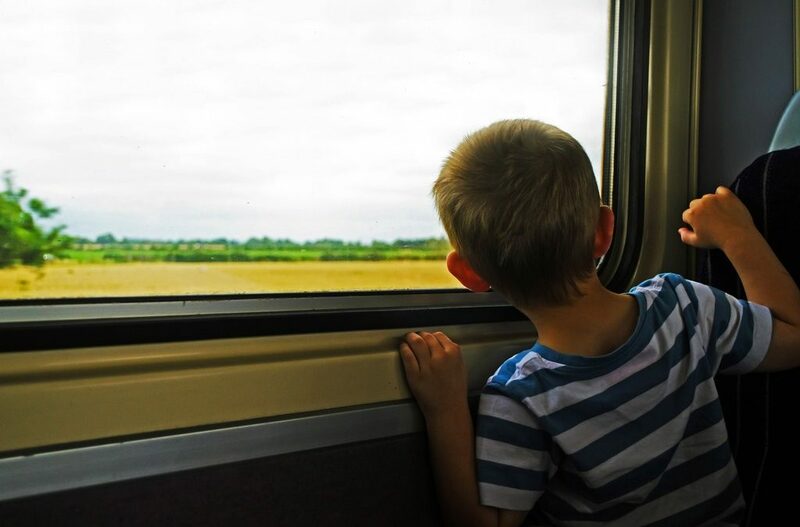 Traveling with children can be an entirely different experience based on how old they are. Your 16-year-old can put on a safari hat and act as your assistant, handing you the map when needed. If you’re bringing a child that’s only a couple years old, however, it’s a different ball game. You’ll need to ensure that the child is comfortable wherever you go. In the case of small children, you might need to carry another piece of heavy luggage in the form of a car seat or something along those lines. A specialized toddler backpack can help take a load off your hands while also giving your child a great view. You’ll also want to really think about the maturity and behavior of your child. For example, if you know your child tends to act up or throw a temper, you may not want to stay at the nicest hotel in the city—save yourself some money by avoiding potential carpet stain clean up costs. Obviously, bringing your child with you means another set of luggage to think about. However, you’ll have to be even more prepared here: children are more prone to accidents and getting sick than adults, meaning you should always have some type of first aid kit. If you haven’t done so already, have your child undergo a comprehensive allergy test. Places abroad can introduce new hazards to those with allergies. If your child has one, make sure to inform yourself on the amount of exposure to the allergen at the place you’re visiting. Another thing to consider is that just because a place looks fun doesn’t mean it’s safe for your child. Most of the time, your children will be up to try just about anything – it’s your duty as a parent to avoid placing them in any dangerous situation, or simply one they should not be a part of. What’s the best way to make the trip a great, long-lasting memory instead of that one thing your children will resent you for years to come? Talk to them about the journey ahead. Give your children a step-by-step of everything you expect from the trip: the places you’ll visit, the people you’ll encounter, and any scary animals that might come looking for a pat on the back or some walnuts. This is going to go one of two ways: either your child will reply “Can’t wait!” to everything or they won’t want to go. Trying to persuade your children a little is fine, but if they really don’t want to have anything to do with the trip, you might have to consider calling it off.